Just a few days ago, I got my lifeguard certification. It involved three long days of taking notes, e-learning assignments, and gallivanting around poolside with a rescue tube while trying to pretend I knew what I was doing. And, like most things, I found several ways to connect it to writing. 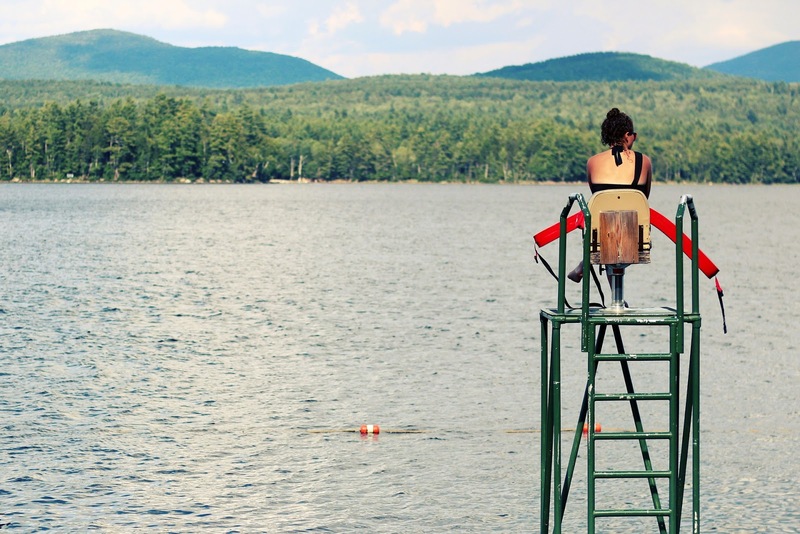 So here we go: three ways lifeguarding and writing are eerily similar. 1. There's not always a right or wrong way to do things. For most types of lifeguard rescue, there's a technique of some sort that makes saving people way easier. However, for a deep water rescue, there often isn't a process -- you just have to get the drowning person onto your rescue tube by any means possible. Even with the more formulaic rescues, there's a lot of leeway. As my instructor put it, "As long as you get from A to C, I don't care what B is." The same applies to writing. As long as you get from idea to finished book, nobody cares what the intermediate steps look like. While the initial rescue can usually be done by just one lifeguard, it's well nigh impossible to get an unconscious person out of the water without help. Also, when you have lots of people helping with a rescue, their shared expertise makes it much less likely that you'll make a mistake. Again, with writing, it's a lot easier if you have help. Seek out other writers to aid you in your quest. 3. You can ALWAYS get better. Even though I'm now a certified lifeguard, I'm by no means an expert. It's probably not what you want to hear, but lifeguards don't actually need to be experts in saving lives in order to get their certification. We only need to display an understanding of the techniques used to get people out of the water safely. The honing of our skills comes during our in-service training, which we have to do for four hours every month in order to keep our jobs. Aside from the fact that writing isn't a life-or-death situation, the concept of improving over time is very similar to that of lifeguarding. You don't have to be an expert to be a writer. But to be a successful writer, you have to be willing to do the work to get better. So even if you're not going to be picking up your own rescue tube any time soon, you can still learn a few important lessons from lifeguarding that you can apply to your writing life. PS. If you ever need a lifeguard to save you, please try to grab the rescue tube and not the lifeguard. We can't get you out if you're pinning our arms to our sides.